Is another man or woman's art. 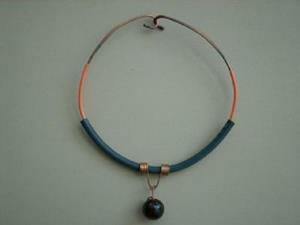 This week EBSQ's Art of the Day features are made with re-purposed, recycled or salvaged items. I think this is such a fun piece of jewelry. I partially stripped some copper wire leaving the orange covering on the rest of it. Then I found the black tubing on the ground and slipped it over that. 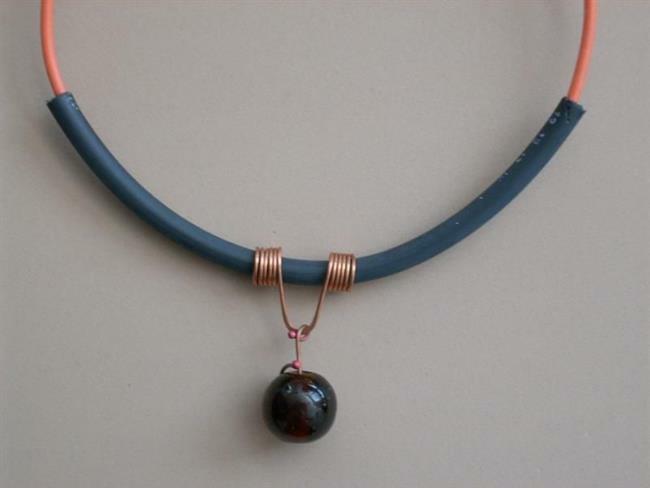 Next I hand forged, torched and wrapped wire, working in a marble sized burgundy glass bead. Found copper wire, found tubing. I love the shine on this.